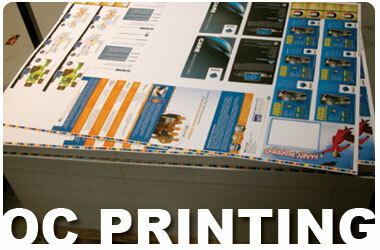 There is no more cost-effective advertising method available than Wraps! 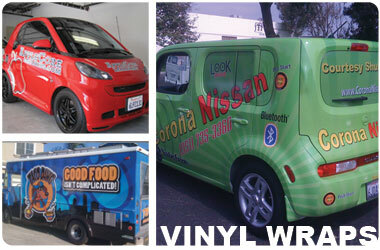 Studies have shown that Wraps are the most cost effective form of advertising available today. In a city of 50,000, a Wrap can get over 8 million views per year. Obviously, in higher traffic areas, you get more attention. Many people who get their vehicle wrapped park it outside of their business near a busy intersection for maximum exposure. A Wrap works for you 24 hours a day, seven days a week and it's a one-time advertising expense, unlike other traditional media like radio, television or even yellow pages. As a specific example, one study from 3M shows that you would have to spend over $130,000 on television ads to generate equivalent annual impressions of a $3,500 Wrap! Postcards, Newsletters, Sales Sheets, Brochures, Pamphlets, Flyers, Proposals/Presentations, Posters, Announcements, Invitations, Programs, Name Tags, Coupons/Ticket Numbering, Store Signage, CD Trays & Inserts, Product Labels, Pricelist, Rack Cards, Real Estate Promotions, Variable Data Documents, Transparencies, Binder Covers & Spines, Letterhead, Envelopes, Postcards, Memos, Notepads. We have an In-House Design Studio as well as a Strategic Trade Show Specialist on staff. We are able focus on all the potential customer touch pints and design effective layouts to maximze your tradeshow or event conversion to customer rate.